Glenn Close made her way to London for the premiere of her new film 'The Wife' which was held at the Somerset House yesterday evening(August 9th). 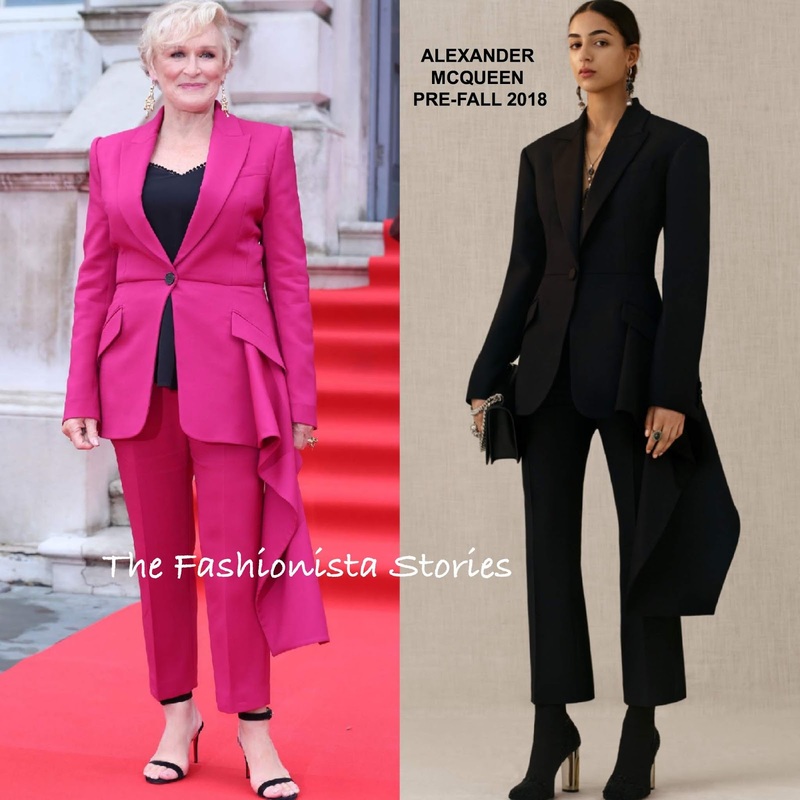 She hit the red carpet wearing a ALEXANDER MCQUEEN PRE-FALL 2018 fuchsia two-piece suit featured a draped panel blazer with a black camisole underneath and matching ankle length trousers. If this looks familiar, that's because Amanda Seyfried wore a version of the suit in July 2018. The jacket is too tight on Glenn & the seam makes it look unflattering, which is unfortunate because this is such a chic suit. Statement earrings, black sandals and pink lips completed her look.